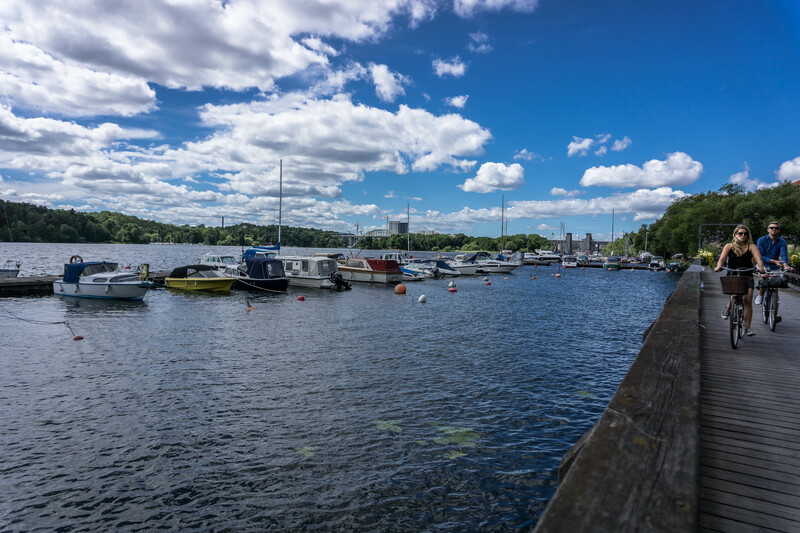 As a participant of TBEX Stockholm I was very kindly given a 72-hour transport pass that works on trains, buses, and some boats across the city. 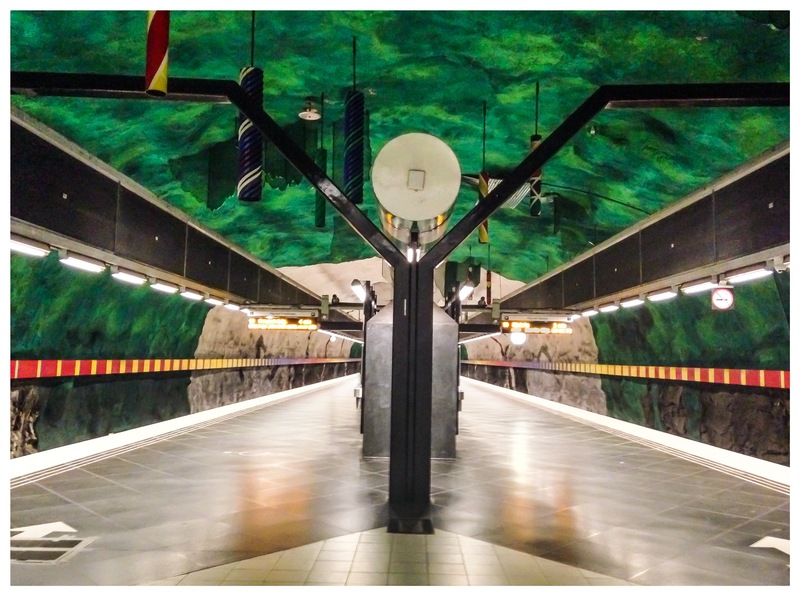 This was perfect for enabling quick transport to the conference, as well as an easy way to experience Stockholm’s incredible tunnelbana art work. However, as convenient as a transport pass is, there is another great way to see Stockholm – a way that is completely FREE. Yes, that’s right; I’m talking about using your own two feet. If you have a nice day and some time at your disposal then here’s some reasons why you should get out and walk around this cool city. As far as capital cities go Stockholm is pretty small, which makes it an easily walkable city. Not only are things relatively close together, but the city’s location along fourteen islands means that it is inevitable you will find yourself back at the water before long. One of my favourite walks in the city is to walk along Drottningatan, passing through Gamla Stan, heading up over Slussen and all down Götgatan. From here you can pass down the steps at the bridge near Skanstull and walk along the water to Hornstulls Strand. This route will lead you back around towards Slussen – where you can use your transport pass to hop on the train if your feet are aching. It’s a very pleasant way to spend a couple of hours, and below you can see my snapchat story of my walk around Södermalm. With its cobbled streets, church spires, rocks and islands – Stockholm is undeniably beautiful, and walking definitely gives you ample time and opportunity to fully enjoy it. There are plenty of green areas and even a few beaches within the city itself where you can sit and enjoy the view for a time. 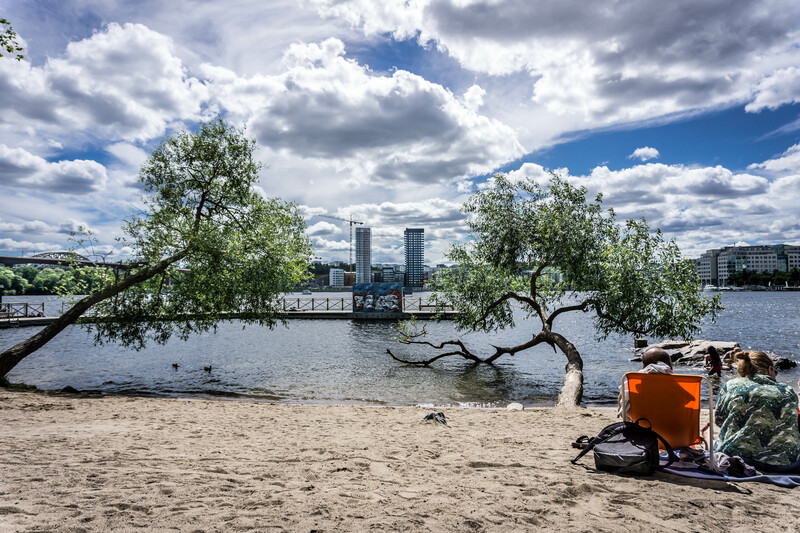 Swedes are health conscious by nature, so – come rain, snow or shine- the sidewalks and river paths are the domain of cyclists, walkers, skaters and runners all enjoying the kiss of the fresh Swedish air. Not only that but Swedes are very respectful of nature, so you won’t see trash lining the streets or litter floating in the water. Allegedly, the water is so clean you can drink it. I can’t think of a nicer environment for a ramble, can you? Sweden has long held a reputation for being a safe country. Not only do drivers have a great deal of respect for pedestrians – just watch how they stop as soon as you approach the zebra crossing to see this – but there is also very little in the way of crime, so you can walk around the city late at night without fear. 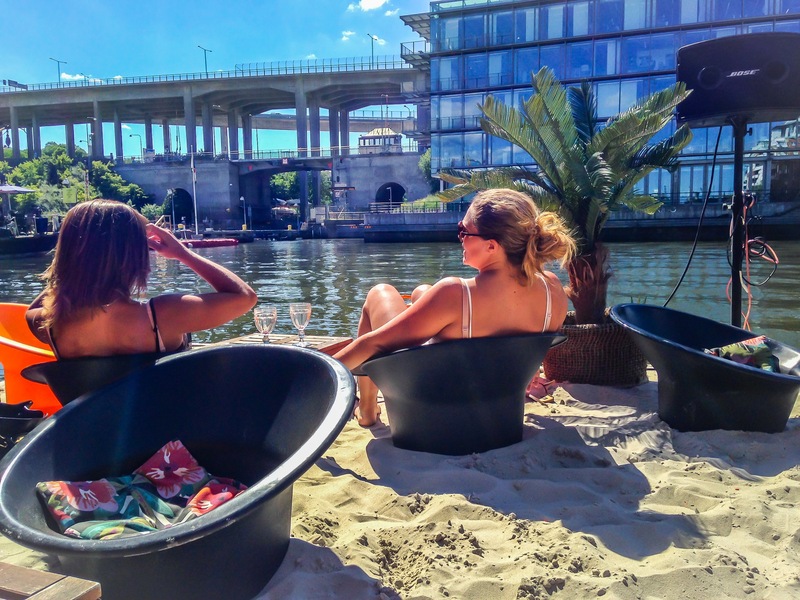 When you are exploring a city by foot you get to enjoy hidden treasures that you might miss on the train – such as ice cream at StikkiNikki, a cocktail at the Thai Boat, an unexpected flea market, a retro store, or a wonderful sunset from a bridge. If you walk the route I suggested earlier, you could call into the Loginn Hotel bar (just before you reach Slussen) for one of the best views of the city . Once you are done walking around Stockholm, you can use your SL City Pass to get you back quickly and easily to your hotel. What is your favourite way to explore a new city? 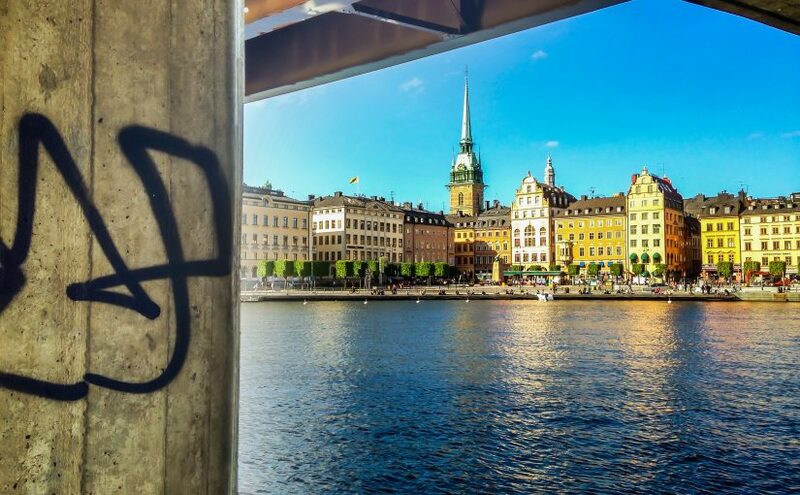 Stockholm looks like a great city to visit! I also like walking around a city, getting lost and find little gems around corners! Thank you – I really like that photo too! I love the Scandinavian capital cities, walking around them is so relaxing! I’m terrible on a bike, so I tend to leave those well alone!! Thanks for the comment. To me, walking is the best way to see almost any city, and Stockholm seems like the perfect place for it! Stockholm has been on my list for awhile – I’m hoping to finally get there within the next year! I’m a huge fan of seeing new cities by walking. You miss so much by taking transport. 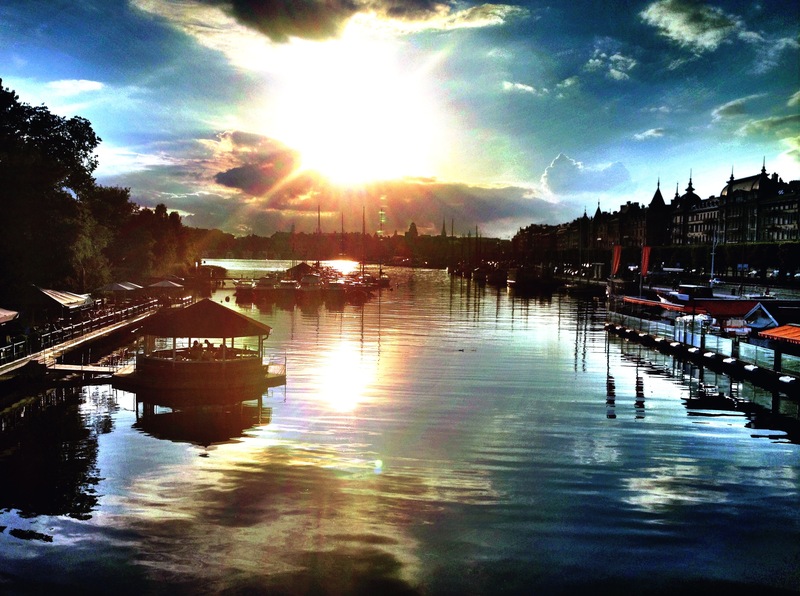 And Stockholm looks beautiful. I’ve never been there yet. You really should go to Stockholm, it is so pretty! !